1 March 2017, TONGHER (5010) gap up & never close the gap. 28 March 2017, 2nd gap up formed & never close back. Will it rebound? Or break the uptrend line? Immediate support @ RM3.65 level. Subsequent support @ RM3.42 level. 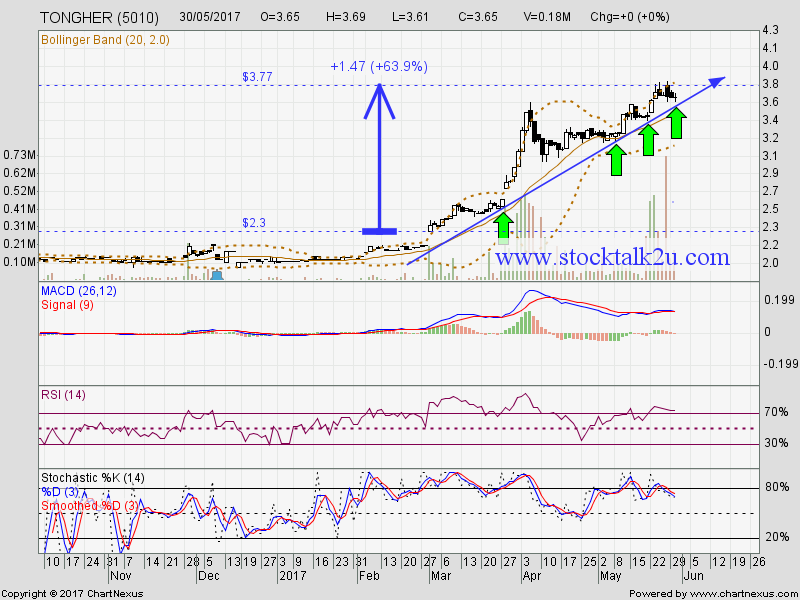 Immediate resistance @ RM3.77 level. 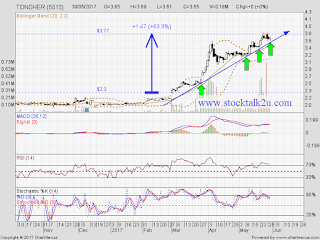 If able breakout RM3.77 level, higher higher is confirm. Uptrend will resume.